The scariest doll in horror movie history has been given the Pop! 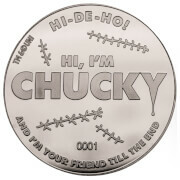 Vinyl Figure Key Chain treatment with this Child's Play Chucky Pop! Vinyl Figure! The Lakeshore Strangler looks true to form wearing his blue overalls and carrying a bloodied knife. 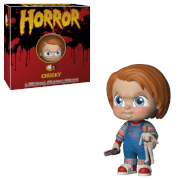 When you see just how cool the 1 1/2-inch tall Child's Play Chucky Pop! 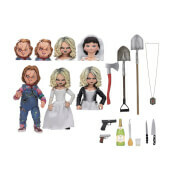 Vinyl Figure Key Chain looks you'll want to collect the rest in the horror movie line from Funko! Ages 17 and up.